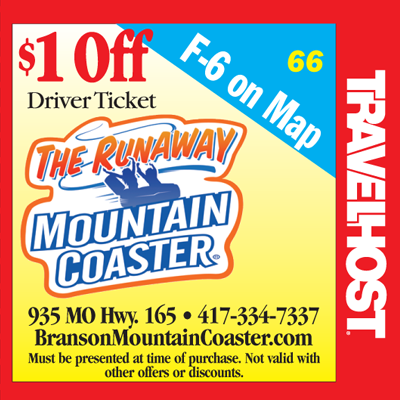 Show this coupon and save at Runaway Mountain Coaster in Branson! Your Runaway adventure is actually two adventures in one. 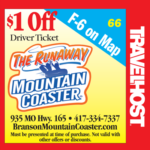 A solo driver or a driver and a passenger load at the loading station where our expert attendant teaches you how to control your mountain coaster cart and what to expect. Then you are released from the loading station and your cart attaches to an uphill pulley. This pully takes you uphill for about 5 minutes–riding 1900′ of track rising 330′ in elevation to the top of the hill. This quiet, leisurely uphill ride lets you see Ozark scenery up close, hear the sounds of nature–and watch other riders on their descent! Once you reach the top of the hill you will be released from the cable and from then on the ride is in your hands. Pull the brake handles up to slow down, push them forward to speed up. And most people want to speed up to enjoy the full thrill of the 3000′ of track descending, spiraling, and curving down the mountain. The truly brave can get up to 30 mph as they race towards the finish line ~3 minutes later. 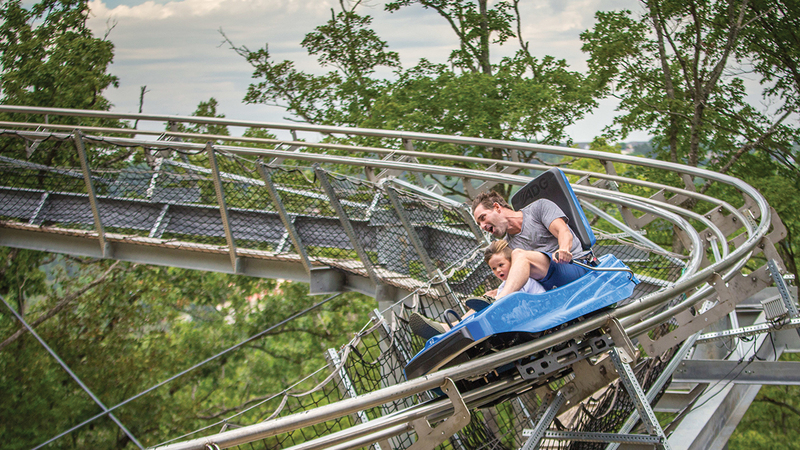 We have a discounted same day ride price because nearly everyone wants to experience a mountain coaster again.